 The designation “Research Affiliate” is a privilege accorded to scholars or researchers temporarily in residence at The University of Texas at Austin. These titles are Research Affiliate-Postdoctoral, Research Affiliate-Research Fellow, Research Affiliate-Senior Research Fellow and Research Affiliate-Visiting Researcher/Scholar. This page addresses the nomination process necessary for granting facilities access to both U.S. and international visitors and is, indeed, the first step in inviting these individuals to our campus; however, it is important to know that all nominations of non-U.S. citizens or lawful permanent residents must follow specific immigration guidelines. Contact the International Office for more advice. Departments may request a J-1 visa (DS-2019) through the International Office for the Research Affiliate classification. However, note that other titles within the University Affiliates (Affiliated Worker) category are also eligible for this visa, but are not under the Vice President for Research oversight. These titles are: Adjunct Clinical Worker, Independent Contractor, Visiting Student and Other Affiliated Worker. To determine the most appropriate title to use, visit the Policies page. The information and requirements listed below apply to all the Research Affiliate titles. Research Affiliates do not receive a stipend in their appointment, nor does their appointment imply tenure or continuation at the university. Privileges, such as ID cards and keys, will not be provided until the Research Affiliate’s assignment has received final approval. For detailed information on Research Affiliate types, including qualifications, view the Research Titles page. The process originates in a department of the University with a nomination by a faculty member or researcher who will accept an active responsibility for helping the researchers/scholars while they are here. A departmental contact prepares the electronic contingent worker assignment in Workday. Once the nomination has been approved, an offer letter is sent to the researcher/scholar. If the researcher/scholar is a foreign national and a DS-2019 will be requested for the researcher/scholar, a request should be made through the J-1 Online Request Form. The visitor’s purpose of visit/benefit to the University should be stated when hiring a research/scholar into a supervisory org in Workday under the “Assignment Details” field. At the time of renewal, an active visa is not a guarantee of acceptance into the designation as Research Affiliate and should not be interpreted as implicit continuation of the official designation. Follow the instructions provided by your college/school or department/unit for approval of this title, which include the hiring of a researcher/scholar into a supervisory org in Workday. The detailed instructions to hire a researcher/scholar as a contingent worker in Workday are located here. The Research Affiliate titles are considered “security sensitive” and require a background and visual compliance check for each visitor. Before hiring a researcher/scholar in Workday, the hiring department must initiate a request in the online Background Check Administration (BCA) system followed by a Visual Compliance check. Follow your college/school’s or department/unit’s internal procedures regarding these checks. If the visitor will be working on a sponsored project, contact Export Control Officer David Ivey (IVEY@austin.utexas.edu) for eligibility verification. Please review the Export Control website for information about export control regulations and how they affect research on campus – such as employing foreign nationals on projects, international travel, and shipping or taking items (e.g. laptops, software, and data) outside the U.S. If the nominee is a foreign national, complete a J-1 Online Request Form. The offer letter should only be issued to the visitor for signature after Visual Compliance has been cleared. The unit or department head has signature authority to sign the letters. A copy of the signed offer letter should be kept on file by the host department, college or unit. In Workday, search for your contingent worker. Click on the related actions icon > Job Change > Change Contingent Worker Details. If there was not a break in service, then add “Extending assignment to (date).No break in service” in the comments field on the final screen before you submit the Change Job for approval. Extensions for international researchers/scholars on a DS-2019 will require an extension of the immigration document through the International Office. A new offer letter indicating continuation of assignment will be required for the visitor. Questions about the Research Affiliates may be emailed to Terisha de la Cruz at t.delacruz@austin.utexas.edu at The Office of the Vice President for Research. Questions about immigration issues should be directed to scholars@austin.utexas.edu or the International Office at 512-471-2477.